No matter how much you love bacon or other processed meat products, there must have been a sneaking thought of doubt reading the headlines in the media recently about their ability to cause cancer. Processed or red meat and cancer: is there really a link? The International Agency for Research on Cancer (IARC), a branch of the World Health Organisation (WHO), released a paper claiming that processed meat causes cancer in humans and red meat probably causes cancer, which got the media buzzing with excitement. But before we get all carried away, let’s take a look at what the paper actually had to say. TRANSLATION: Consumption of red meat probably causes cancer. TRANSLATION: Processed meat causes cancer. TRANSLATION: The risk of colorectal cancer increases with higher intake of processed meat. Each 50g portion of processed meat consumed on a daily basis increases risk by 18%. TRANSLATION: This research can be trusted, analysing the results from more than 800 scientific research papers over the past twenty years. TRANSLATION: Red meat is still important for balanced nutrition, but a limited intake of red and processed meat is wise. Naturally, the IARC expected there would be all sorts of questions when they released the paper, so they answered the most common ones in a simple Q&A factsheet. Read the full Q&A here or get the paraphrased version of the most important facts that you might be wondering about below. All mammalian muscle meat. This includes beef, veal, pork, lamb, mutton, horse, and goat. Meat that has been transformed through salting, curing, fermentation, smoking or other processes to enhance flavour or improve preservation. This includes hot dogs, frankfurters, ham, sausages, corned beef, biltong, beef jerky, canned meat and meat-based preparations and sauces. Processed meats usually contain pork or beef, but may contain other red meats, poultry, offal or blood products. 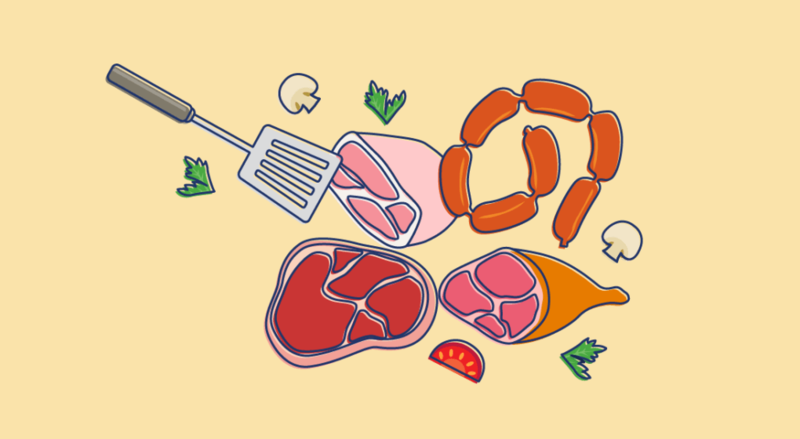 Do cooking methods affect the carcinogenic effect of red meat? 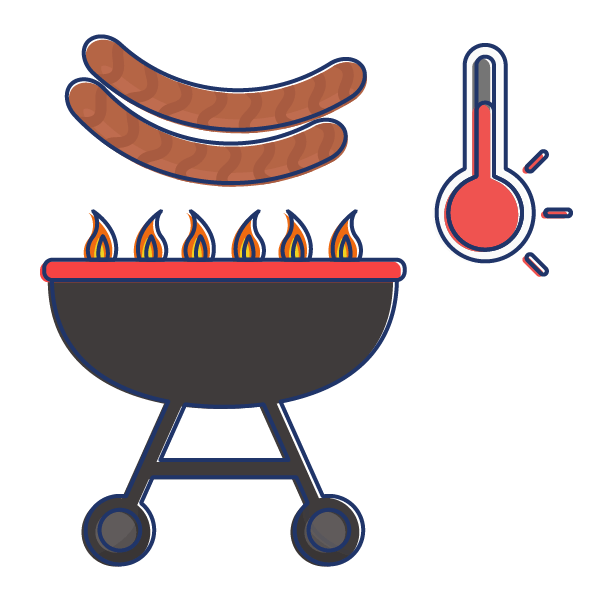 Yes, high-temperature cooking methods such as barbecuing and pan-frying generate compounds that are likely to be involved in causing cancer (e.g. polycyclic aromatic hydrocarbons and heterocyclic aromatic amines), although this is still not completely understood. There is insufficient evidence to say raw meat is safer and this may increase risk of infection. What does “red meat is probably carcinogenic” mean? The IARC has a classification system to help categorize the effect different substances has on the growth of cancer. Red meat was classified as Group 2A – probably carcinogenic to humans. 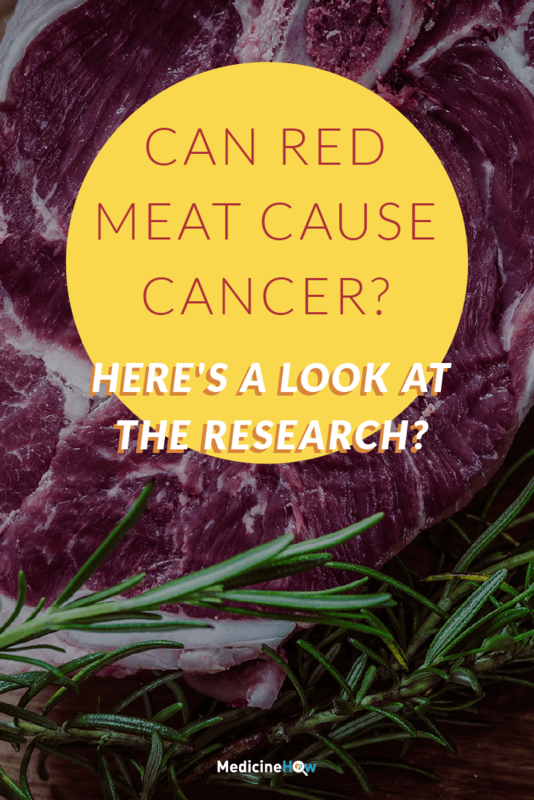 This means there is limited evidence from epidemiological studies that associate consumption of red meat with increased risk colorectal cancer. What does “processed meat is carcinogenic” mean? The IARC has a classification system to help categorize the effect different substances has on the growth of cancer. 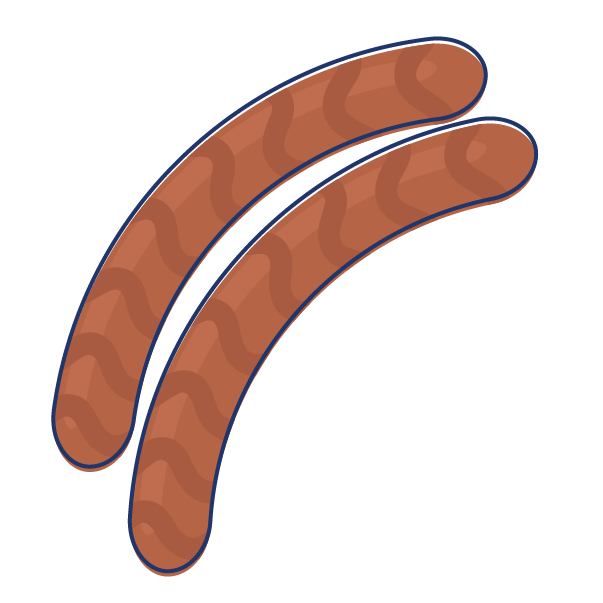 Processed meat was classified as Group 1 – carcinogenic to humans. This means there is convincing evidence from epidemiological studies that show development of cancer in humans with regular high consumption of processed meat. Tabacco, asbestos and processed meat are all classified as Group 1. Are they equally dangerous? 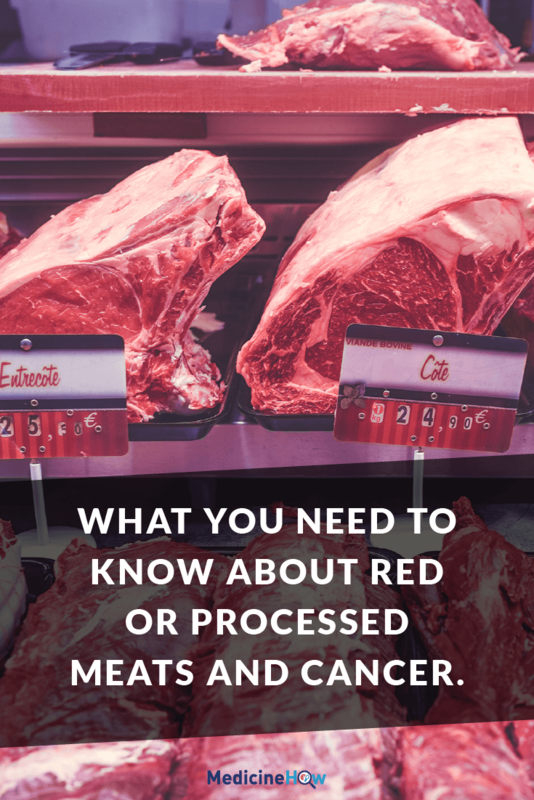 Can red or processed meat cause all types of cancer? The only type of cancer that has been linked to the consumption of red and processed meat is colorectal cancer. How does red meat and processed meat cause colorectal cancer? What is the risk of eating red meat and processed meat? According to one data analysis, every 50-gram portion of processed meat eaten daily increases the risk of colorectal cancer by 18%. It is more difficult to identify risk for red meat because there is less research available but an estimated increased risk of 17% per 100-gram portion of meat eaten daily is estimated. 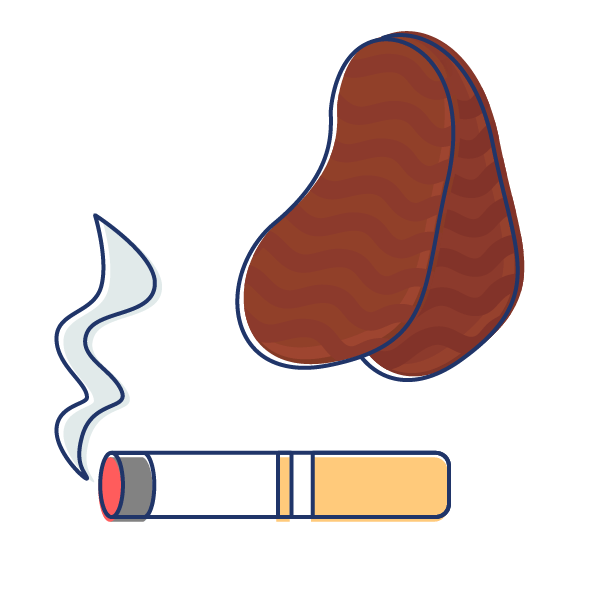 According to the Global Burden of Disease Project, approximately 34,000 people die each year due to colorectal cancer associated with a diet high in processed meat worldwide. On one hand, this was a good thing because it got people to notice the news in this information-saturated world we live in. But on the other hand, many people only ever read the headlines and don’t take the time to read the paper WHO released, which can cause some confusion. Most people don’t know what to think. Some of the questions have already been answered in the Q&A above, but let’s get into some more detail. Firstly, it’s important to think about if this information is reliable. Can we trust it enough to change or dietary habits? Or should we dismiss it all without a second thought? Just because the WHO is a huge organisation that is well respected in the health field, doesn’t mean they can’t be wrong. It’s certainly happened before. Rather than blind faith, it’s to look at the actual evidence they used to create the paper. Red meat and processed meat has been under a critical eye in health research for a long time – it’s not anything new. Many studies have found a possible link between them and cancer over the past couple of decades. The problem is, it’s very hard to declare something causes cancer with scientific research because cancer is a disease that slowly progresses and can’t easily be pinned down and tested in a study. Most of the evidence about this issue is what we call “epidemiological”, which means it makes observations about certain groups of people over time and monitor the development of cancer. The “placebo-controlled randomised trial” that is the gold-standard of studies is much more difficult for cancer research, because it involves randomly selecting people and instructing them to eat a diet low or high in processed meat – not very ethical for the individuals that are selected to eat high proportions of meat each day and watching to see if they get colorectal cancer. With this in mind, can we trust the information presented in this paper? Epidemiological studies are our best bet when researching the progression of cancer. But you can’t simply take one observational study and say: “Right, yes, meat causes cancer, this study says so!” You just can’t know. But when hundreds of studies take place over twenty years, you can start to get a better picture together. That’s all the WHO has done with this paper. 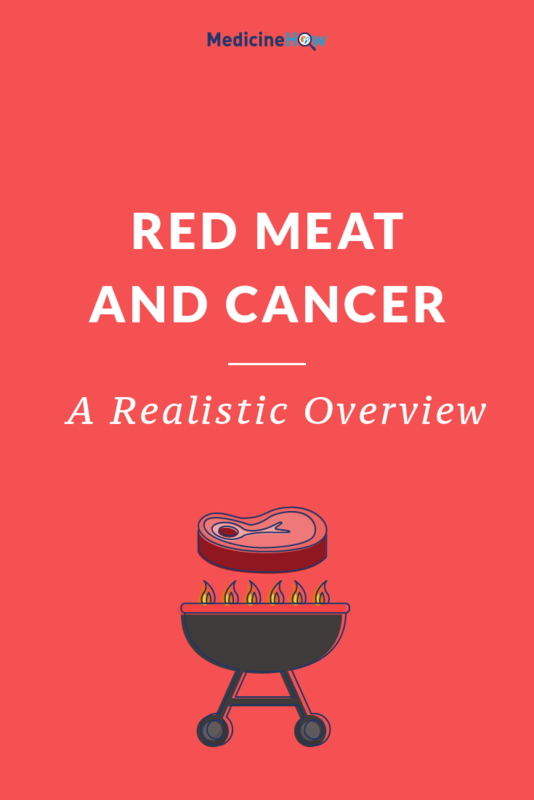 Scooped up over 800 studies done over the past twenty years and summarised the effect of red meat and processed meat on cancer development. Many studies had already suggested this, but on their own they are not enough. Is the paper reliable? In my opinion, yes. Processed meat doesn’t cause cancer. Processed meat causes colorectal cancer. Red meat probably doesn’t cause cancer. Red meat probably causes colorectal cancer. Why is it that everyone seems to miss the word that makes all the difference? It’s colorectal cancer we’re talking about here, folks. Not breast cancer. Not lung cancer. Not prostate cancer. Just colorectal cancer. Cancer of the colon. Why? Because red meat and processed meat are likely to cause damage to the intestinal tract. How does it cause colorectal cancer? gut lining and cause DNA mutations. High temperatures in cooking process generate flavoursome char lines but can also generate heterocyclic amines, which can damage the gut. Iron in red meat can easily be oxidised (like rust) and build up on the intestinal lining to cause damage. Trimethylamine N-oxide (TMAO) is a compound that may be linked to colorectal cancer, due to metabolism of bacteria in your gut. Neu5Gc may also be related in red and processed meat causing colorectal cancer. This is the big question that we need to answer if we want to do the best for our body with good nutrition. Red meat still offers benefits and should be included in a healthy balanced diet, as a rich source of protein, iron, zinc and vitamin B12. The advice is to limit intake of red meat and processed meat. According to animal studies, eating green vegetables alongside meat has a protective effect against colorectal cancer, reducing the risk. Specifically, the green chlorophyll molecules in these vegetables is thought to counteract the effect of iron and haemoglobin in the red meat. The Verdict: Should you avoid or restrict red meat intake? The is good evidence to support that high doses of processed meat causes cancer and red meat probably causes cancer. But this doesn’t mean you have to cut it out completely. It’s all about moderation. Adjust your serving size of red meat, to reduce the risk of damage to your intestines and opt for meat meals a few night a week, rather than every day. It’s also important to include a healthy serve of vegetables to offset the risk and help to protect your colon. It’s okay to enjoy meat every now and then but it shouldn’t be the main component of your diet. Nutritional advice has been telling us this for years (just look for red meat on the food pyramid), so it shouldn’t come as a big surprise. As usual, it’s all about the dose.